Edit Multiple RTF Files Software can edit multiple rich-text files at once in one interface. 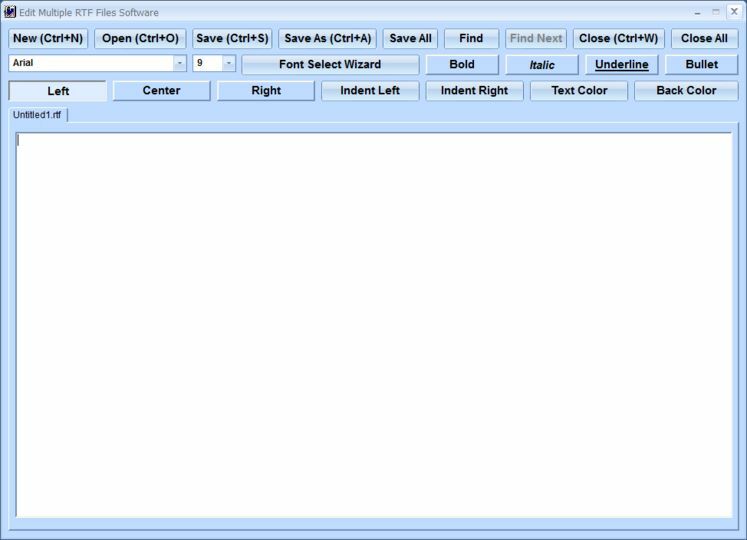 The software has all the usual editor features for opening, saving, modification fonts/formatting, etc. This easy to use interface makes editing even large numbers of RTFs both quick and easy.